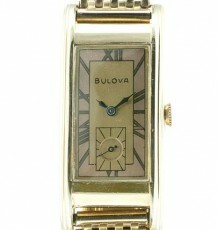 Rare Bulova Accutron railroad watch RR 218 . 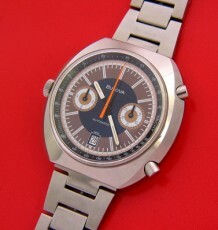 Just inspected by my watchmaker, battery changed and running perfectly. 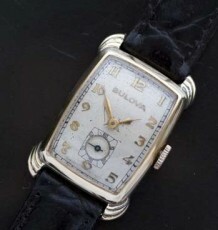 The dial is lightly patinaed to a wonderful parchment colour. The all original black minute and spade hour hand contrast against the white dial service and the red sweep seconds hands is even more legible in comparison. 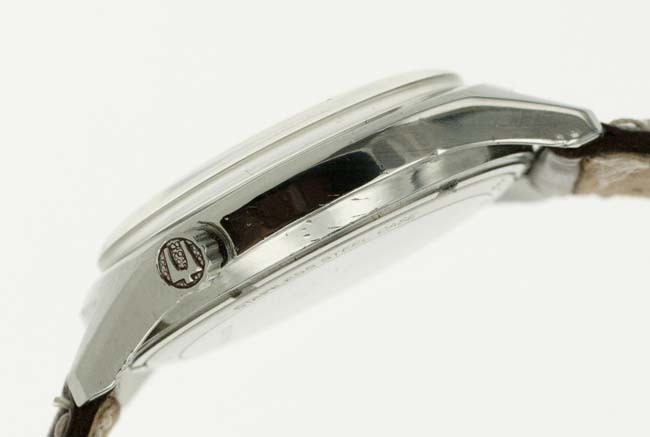 The dial of this Bulova Accutron railroad watch RR 218 features the typical and iconic Railroad pattern of black Arabic numerals on a white background. The hours are marked in both 1-12 on the outer edge and 13-24 inside that circle for proper 24 hour time indication, This model also features a date indication window. 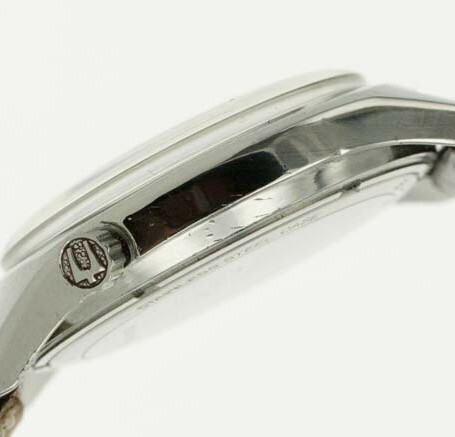 The watch features the original and correct signed Accutron crown which sets the time and allows for quick setting of the date. 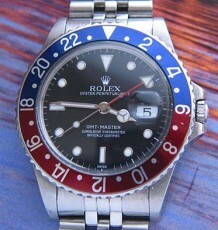 Another feature on this watch is the hacking seconds feature when the crown is pulled out to set the time. 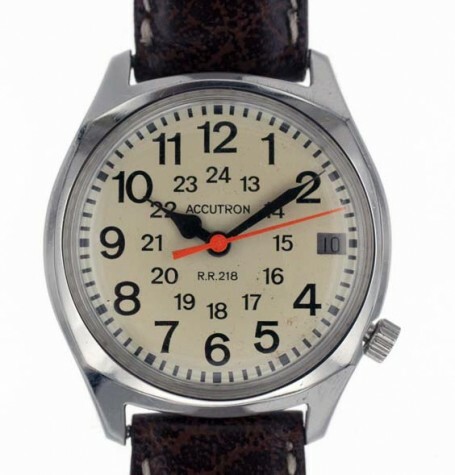 This Railroad grade wrist watch is fitted with an Accutron 2181 movement. 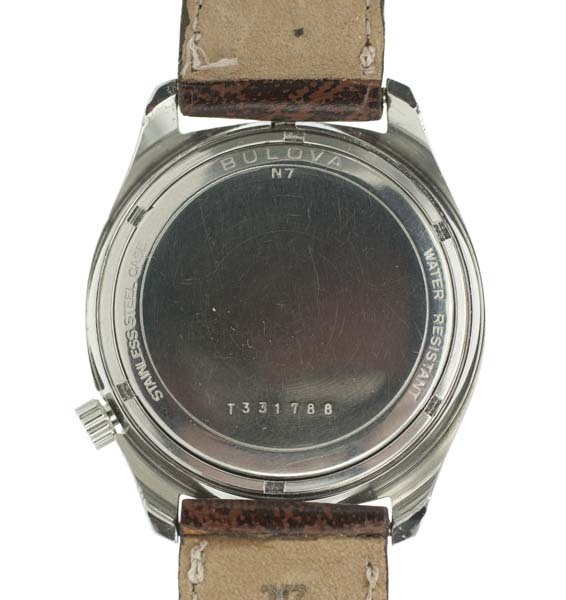 The date code on the back of this historic timepiece dates it to 1977, the last year that Bulova made the Accutron before converting to quartz. 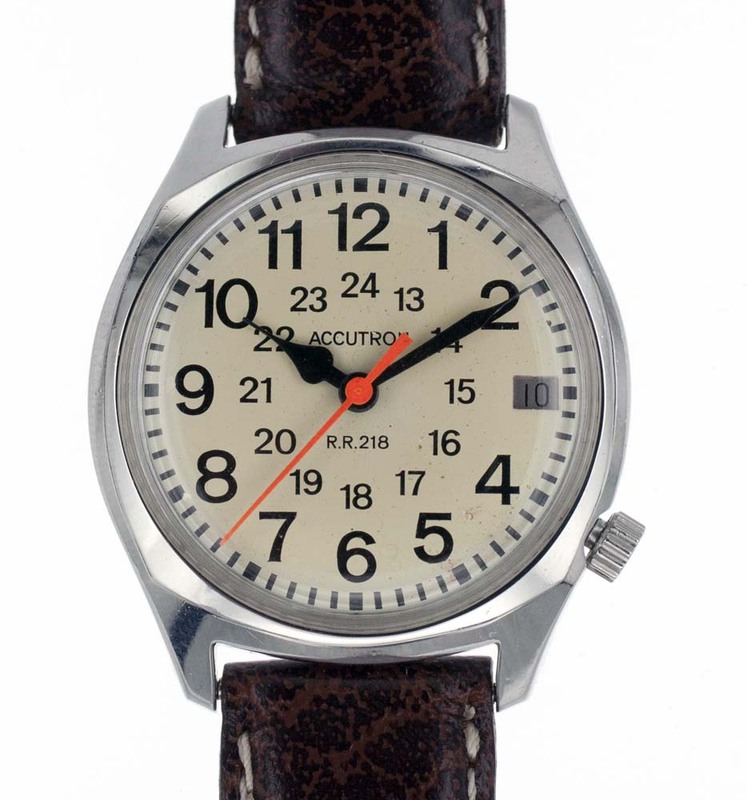 The watch is supplied on a brown leather strap and measures 34 mm wide and 39 mm long. The watch is fitted with an 18mm brown leather strap but can be supplied with a black leather strap instead. 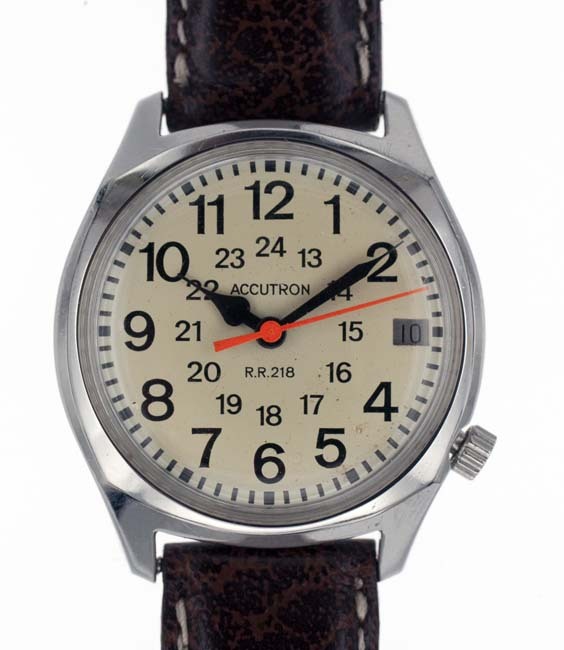 Interestingly, most Railroad Accutrons were made using the older 214 Accutron movement. The RR218 models are harder to find, especially in this condition. 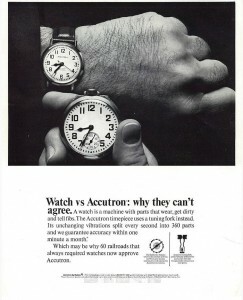 Here is an advertisement showing the Railroad Accutron compared with the nostalgic Railroad pocketwatch. Here is a website with a small listing showing the various models of wristwatches approved by the Canadian Railroad companies.